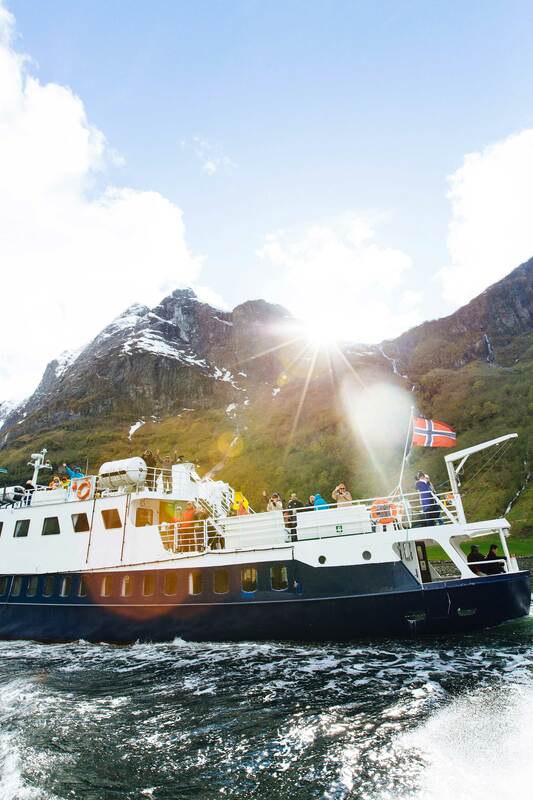 Norway… Fjords… and cheese? Sign. Me. Up. Fast forward a few months and there we all were, finally. Helena and Kate from San Francisco, Martin from Norway, and little old me from New Zealand (by way of London). Quite the international bunch, and one that was ready for an adventure. 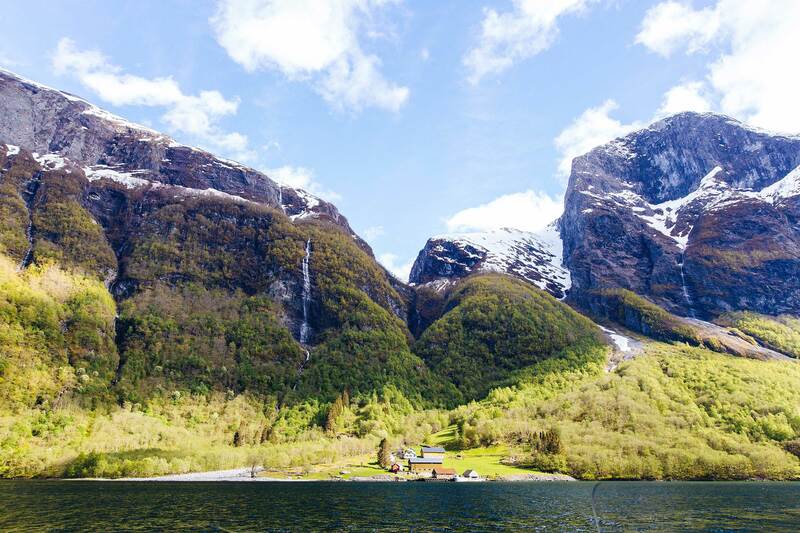 I should start by saying that the tiny Fjord village of Flåm is essentially heaven on earth. So the idea that anything could top the picturesque perfection of this place seemed pretty unreasonable, if I’m honest. But hey ho what are you gonna do, look a free fjord safari in the face? Hell no. You suit up. So suit up we did. Though we were in Flåm in what was technically the start of summer, the warmth hadn’t quite made it to these fjords, so it was a little chilly. No problem there, as we were suited and booted in bright orange (windproof!) jumpsuits, hats and goggles, and ready for a few hours on the water. See the excitement on our little faces? It was palpable. Now, I’m from New Zealand. Not to brag, but we’ve got some pretty good scenery there. 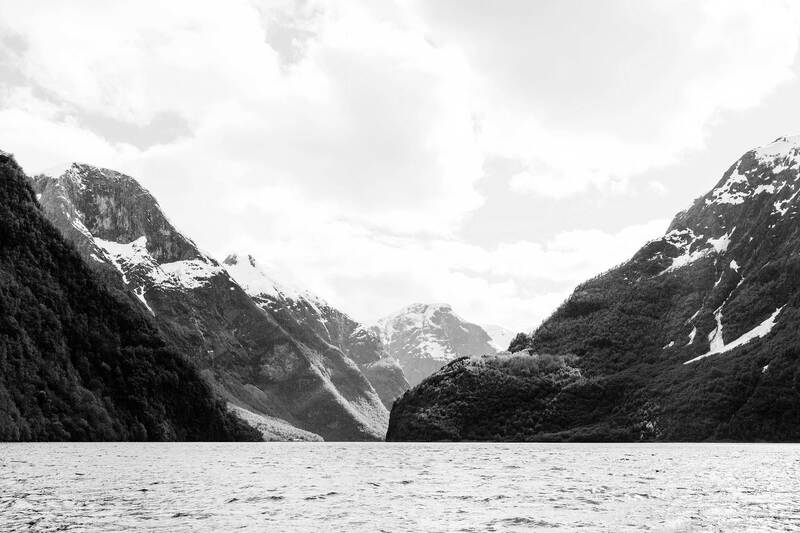 Even a fjord or two (did you know Milford Sound is actually a fjord? 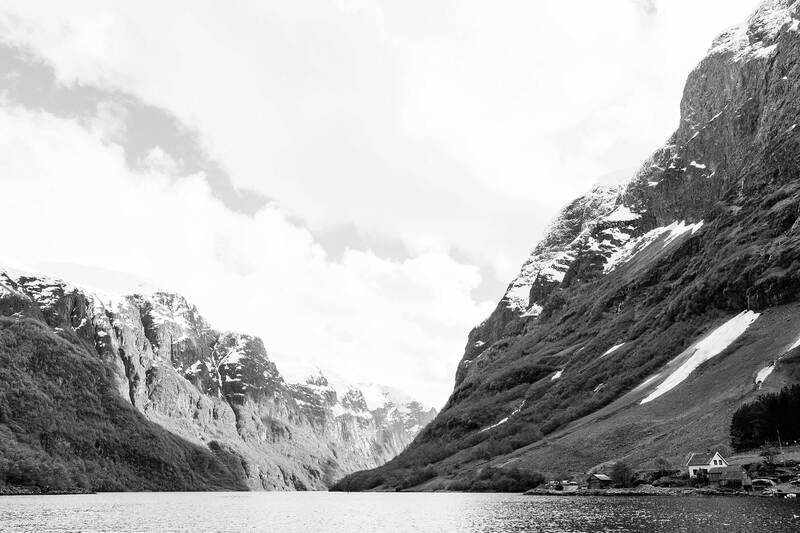 There you go then, the more you know…) So whilst I’m not a complete fjord snob, I knew it was going to take quite a bit to impress me in the mountain department. I managed to subdue my incredulous whimpers and after almost two hours of cruising the fjords starting at Aurlandsfjord (part of which is included in the Nærøyfjord UNESCO world heritage site), we end up at our goats cheese tasting in Undredal – a village apparently inhabited by 60 people and 500 goats. Now is where I kick myself. Because I didn’t get a single portrait of our cheese tasting host. He was one of the most stylish men I have come across: all-brown-leather hat, vest, jacket and shoe wearing, and clearly passionate about goats cheese. A combination of cold and an inability to string a sentence together meant I didn’t get the portrait that I should have – lesson learned. After a few hours sitting in the boat with our mouths agape we’d clearly worked up an appetite, so we happily devoured the 4 types of cheese and goat-meat salami on offer. The warm blackcurrant juice was also a very welcome treat. And just like that, we were done. Upon arriving back in Flåm we headed over to the Ægir Microbrewery (straight outta Game of Thrones, I tell you) and devoured some very tasty local craft beers. Now that I’m back in London and the regular routine, I’m still left wondering if that place was even real or not. Can we go back now? I need some more of that goat salami. And a portrait of the goat man, too.